Fantasy artist Richard Corben directed this low-budget sci-fi and horror anthology that’s virtually impossible to find, and possibly for good reason. According to those who have seen it, it’s a somewhat cheesy effort with rather crude Claymation special effects. Corben fans, however, consider it worth pursuing, and the VHS release features a beautiful Corben illustration. It occasionally pops up on eBay, with one recent auction closing at $250. A small cult following seems to have developed around this eccentric comedy about a young man (the late Paul Walker) who finds his brain stuffed into the body of an animatronic Tyrannosaurus rex, and his girlfriend, the titular Tammy (Denise Richards), who tries to find him a more appropriate vessel. 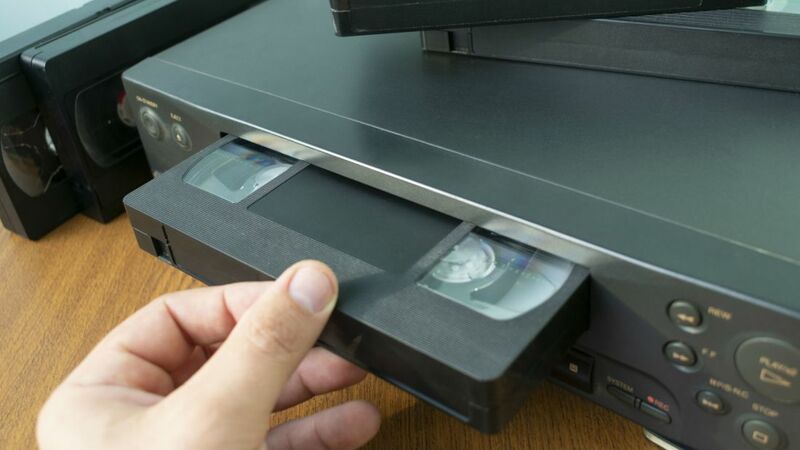 A VHS of the movie—which isn't available on DVD—can sell for up to $80. Pro wrestling was a popular genre on VHS, and some events that are otherwise hard to come by often sell for a premium. A sealed copy of Halloween Havoc 1993 sold for $349.99, while a copy of Wrestlemania III went for $190. Halloween Havoc 1996 can sell for up to $100. It’s possible that no other film or film franchise has seen has many home video releases as the original Star Wars trilogy. Their value on VHS is due in large part to the interest of Star Wars collectors, who often fork over $76 and up for the 1982 rental version of 1977’s Episode IV: A New Hope. It's one of the few ways to view an unaltered version of the movie, as many home video releases later changed or added special effects.